It is under this motto that senior Sydney Green played at her high school, Hawken Upper School, just an eight-minute drive from her hometown of Richmond Heights, Ohio. It is there that her tennis journey flourished. The tennis journey started when she was 8 years old, learning from her older sister Jordan, who pushed Sydney to start playing tennis. When she enrolled at Hawken, a coed college prep school founded in 1915, Green considered gymnastics, softball and soccer before opting to play tennis. “I just loved [tennis] more than any of the other sports, and I wanted to stick with it,” Green said. Green accumulated many awards during her time in high school, including earning First Team All-Chagrin Valley Conference honors in 2013 as conference champion, and Second Team honors in 2014. 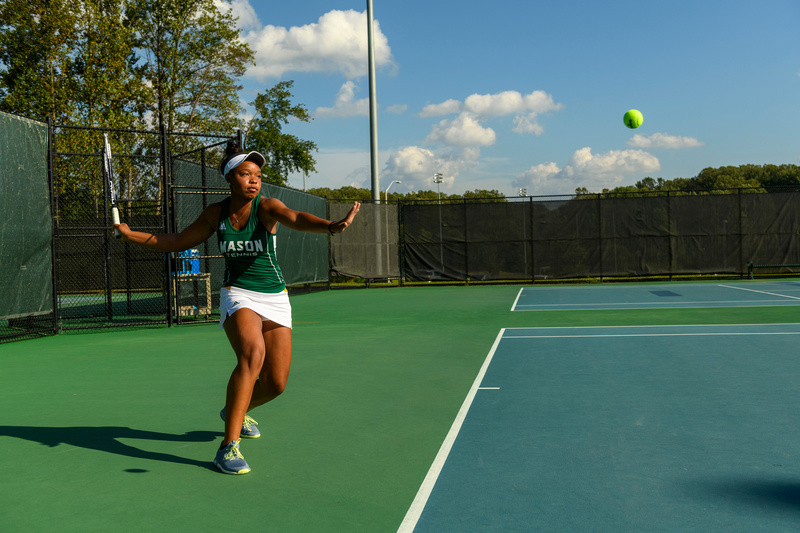 She was also the 2012 doubles runner-up of the Ohio High School Athletic Association state tournament and led her team as the captain in 2014. 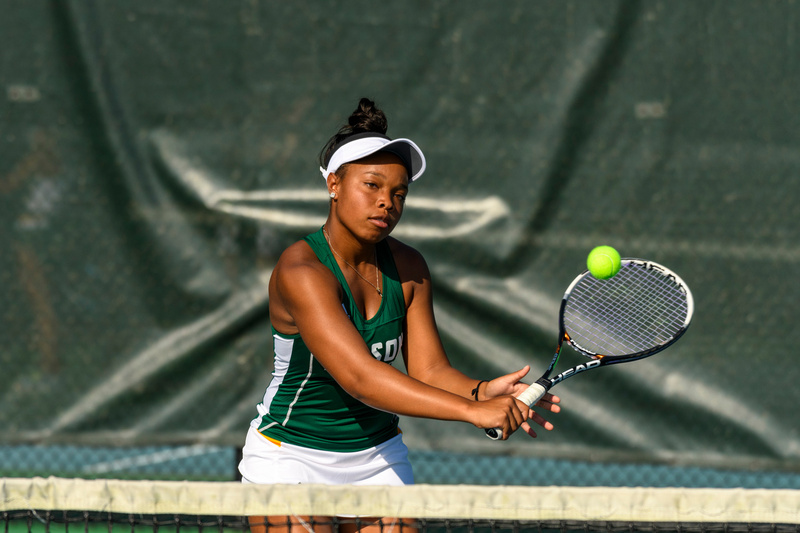 Coming on board in 2015-2016, Green finally had her chance to play tennis on the Division I level. It was daunting going into her first collegiate match ever. As a freshman, she finished 9-12 in her dual matches, playing in all 21 of those from the No. 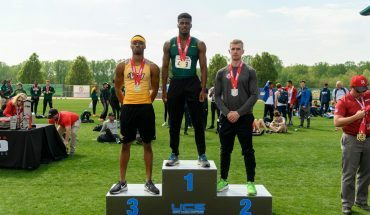 2 position. Green played in the No. 1 position in doubles, finishing 8-12 with her partner Brittany Pilkington, who was a senior at the time. 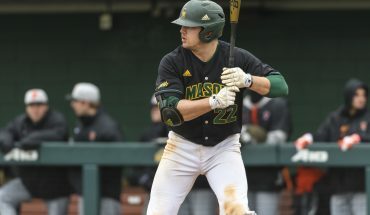 In 2016-2017, Green finished the season with a record of 14-12 from the doubles position and 11-9 in the doubles position at the No. 1 spot. Green also finished with a record of 13-15 from the singles position at the No. 1 spot. 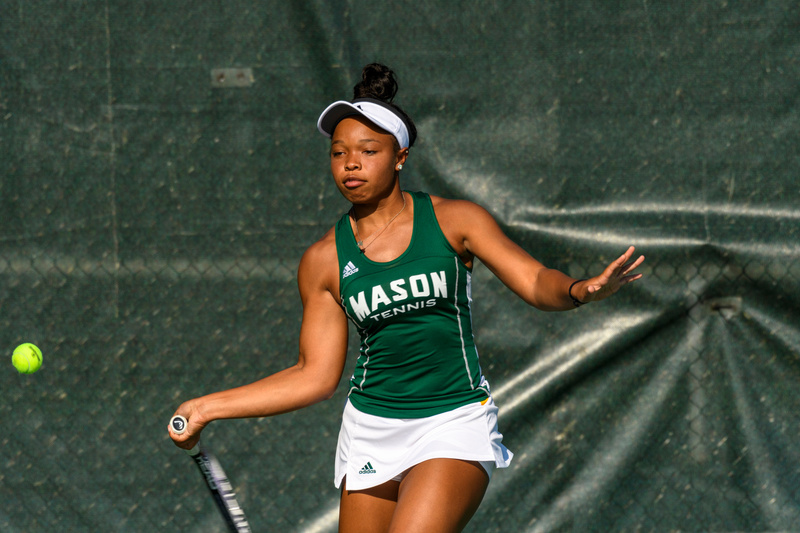 In 2017-2018, Green finished on the A-10 All-Academic Team with a singles record of 14-15 and a doubles record of 2-7, partnering with Rachel Lee. Green played all of her matches in the No. 1 spot.